June is National Homeownership Month, and the industry is recognizing the importance of homeownership as a milestone of the American Dream. This year’s theme, set by the Department of Housing and Urban Development (HUD), is “Find Your Place.” HUD is one of many agencies that provide resources to help consumers obtain and sustain homeownership. Through its network of housing agencies, consumers can seek out counselors for homeowner education, foreclosure prevention and budgeting assistance. With mortgage options through the Federal Housing Administration (FHA), consumers with low credit or low-down payment funds can reach their homeownership goals faster—a significant method of aid for millennials and upcoming buyer generations flooded with student loans, making it difficult to amass the funds needed for conventional financing. According to HUD, over 47 million homeowners since 1934 purchased a home with a mortgage insured by FHA, and around 40 percent of all borrowers purchase their first home using an FHA loan. 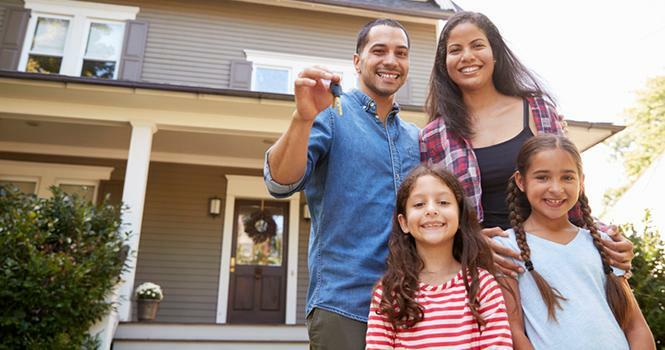 Although homeownership rates are currently stalled at 64.2 percent, experts say the lack of dramatic increase is a reflection of a market that is withstanding challenges such as low inventory and rising interest rates. While the number has not moved much since the first quarter of 2017, there have been gradual increases since 2016, following a significant drop after the housing crisis. While the National Association of REALTORS® (NAR) celebrates its commitment to homeownership year-round through resources provided on its Homeownership Matters and HouseLogic sites, NAR President Elizabeth Mendenhall recognized June as a pivotal time to reaffirm the association’s mission to promote homeownership. In addition, Freddie Mac’s website for National Homeownership Month provides valuable resources for homeowners, such as educational articles, homeownership program statistics and opportunities consumers can take advantage of in order to make their homeownership dream a reality. According to the National Association of Home Builders (NAHB), primary residences are ahead of all other financial assets, business interests and retirement accounts, accounting for nearly one-quarter of all assets held by households in 2016, as reported in the latest edition of the Federal Reserve’s Survey of Consumer Finances. “Homeownership is a primary source of net worth for many Americans, and is an important step in accumulating personal financial assets over the long term,” said Randy Noel, chairman of the NAHB, in an interview on NAHBNow. In recognition of National Homeownership Month, NAHB is making a toolkit available for its members; the toolkit includes a video on the value of homeownership, sample social media posts, radio scripts and other talking points, relevant articles, and even print ads showcasing the benefits of homeownership. Find Your New Lake Home!